My entire life and even before I was born, my dad's side of the family has done a big Christmas Eve gathering. It is my FAVORITE event of the year. I look forward to it ALL YEAR LONG! I cannot express enough how much I love Christmas Eve. Every other year I host the gathering. Last year we partied at my aunt's house. Part of our tradition includes a visit from Santa Claus (which I look forward to as much as the kids) and new pajamas. I know it sounds crazy…but I absolutely adore seeing my kids in their new Christmas pajamas every year on Christmas Eve. 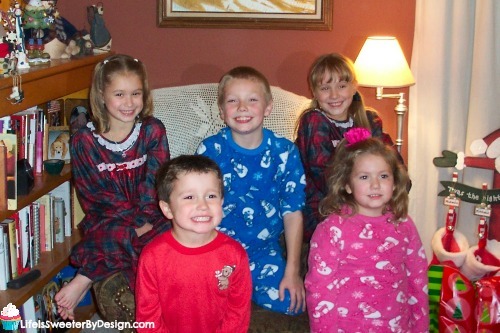 All the cousins change into their jammies mid-way through the evening and it is so sweet. So last year we were spending Christmas Eve day celebrating at my in-law's house and then were heading straight to my aunt's for the evening party. I had to be ORGANIZED. I had to remember to bring a LOT of stuff along for both gatherings. We had to take 2 cars….but I honestly don't remember why now, LOL! So, I am trying to bake, cook and organize on 3 hours of sleep with a toddler who is still not feeling well, but luckily doesn't have a fever anymore. I got everything packed up. We loaded up and had a great time at my in-laws. When it was time to head for my aunt's house….we piled in and took off. What I didn't realize at the time was I had forgotten the bag that had the Christmas pajamas in it. When we arrived at my aunt's we unloaded our food, our hidden presents from Santa….then I start spinning in circles….I am looking all over my aunt's living room and I don't see the pajama bag. What felt like a mini-heart attack started. A look through our vehicle and NOTHING. I go back inside, walk up to my husband and just start BAWLING like a baby. He probably assumed something HORRIBLE had happened. Maybe I had just gotten word of the death of a loved one or friend….our country had been invaded by aliens….but no I was crying because my kids had NO CHRISTMAS PAJAMAS to put on later. My dad and my husband immediately said they would drive back to my in-laws and grab the bag. I told them NO WAY. It was too far and they would miss too much of the party. They insisted and left….they came back over an hour later and had the precious cargo in hand. 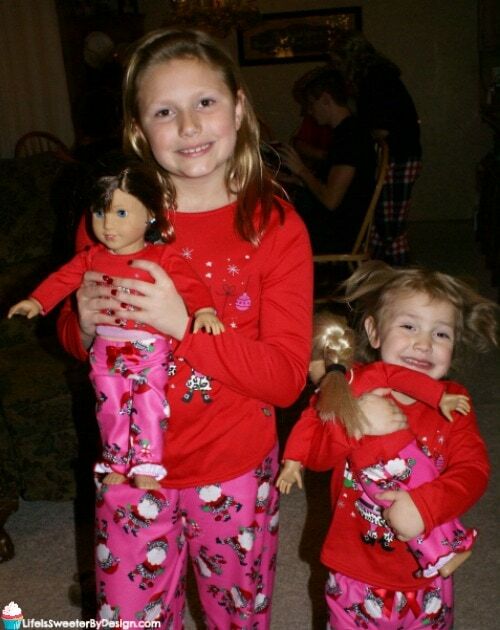 My little girls got into their Christmas jammies after all….of course the 2-year-old had already ripped her pigtails out…hence the CRAZY hair in the picture below, LOL! I know with all certainty that when I cry…I will end up with a whopper of a headache. It is a no-brainer for me. It always happens. Luckily I have learned along the way to be ready for the unexpected. I didn't plan on crying on Christmas Eve. It happened though and I didn't want to let a big fat headache ruin the rest of my evening. 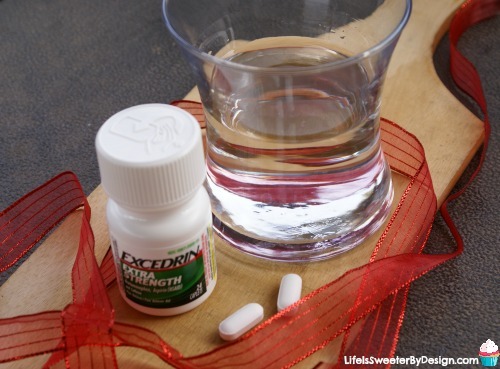 I grabbed my Car First Aid Kit and knew my saving grace would be inside….yes my Excedrin® Extra Strength was inside and I knew that would do the trick in no time. Some people (like me :-D) get relief starting in just 15 minutes. It was just the fast headache relief I needed to continue celebrating with my family. I would hate to see the unexpected ruin a meaningful moment in your life. 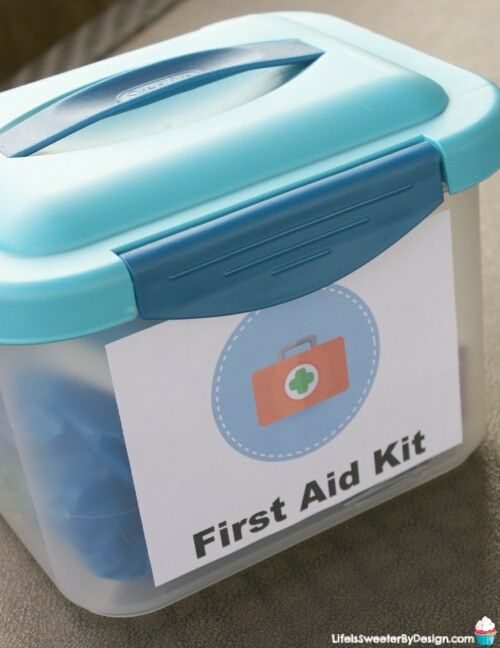 Be prepared by making a car first aid kit. It is so easy, quick and simple to do…there is just no excuse to not being ready for anything. 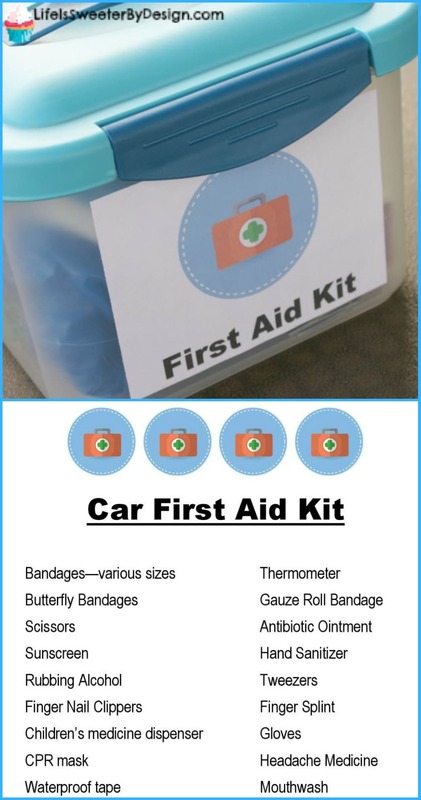 Here is a simple checklist you can print off and use to fill your car first aid kit. Pick and choose what your family needs to have on hand. Just click the image below to download and print off! I like to always keep these items in my car first aid kit! I also love to throw in a bottle of Excedrin® Tension Headache. 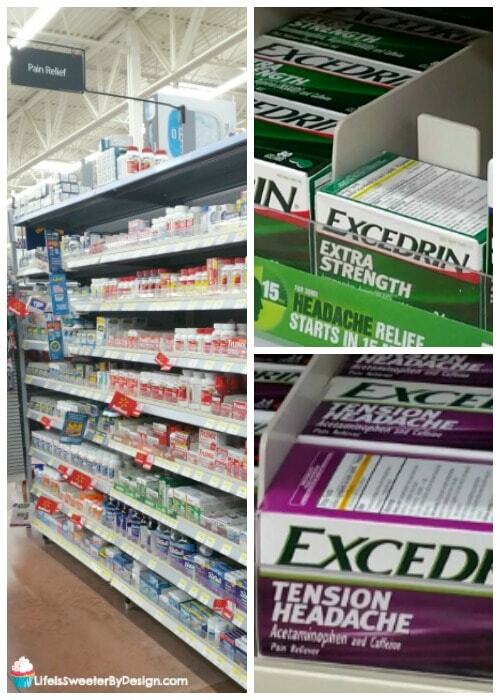 It seems like I get tension headaches more often when we are traveling or are really busy and Excedrin® Tension Headache gives me great aspirin-free headache relief. I feel calmer knowing it is in my car first aid kit and I don't have to weigh my purse down carrying extra items! It is so easy to grab everything you need for your car first aid kit when you are at Walmart getting groceries! Have You Ever Had a Meltdown or Headache Ruin a Meaningful Moment in Your Life? I really don't want to be the only one sharing embarrassing meltdown moments here….I would love to hear about a time when you lost it over something crazy! 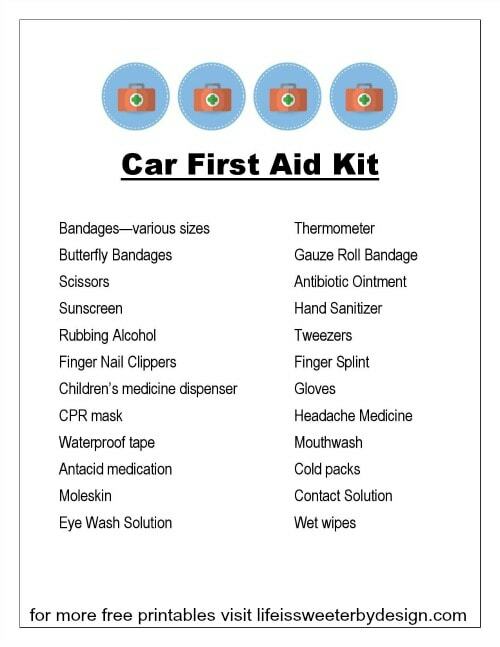 🙂 Be sure to print off this car first aid kit checklist and send me a picture of your kit!! *Please always remember to use Excedrin® products as directed. I totally get it! I have meltdowns sometimes over the smallest details. I just want everything to go perfectly when I spend so much time planning, and when one thing is off I feel like I have failed. Good thing you had your emergency it! It’s really important to have a first aid kit in the car. I’m glad it was able to help you with your headaches. It’s always nice to be prepared when it comes to these things. I have a first aid kit that came with my car, which I’ve never opened. I do carry a little walking pharmacy with me in my purse and it always contains headache meds. Headaches do like to come on at the worst times and being prepared does help. 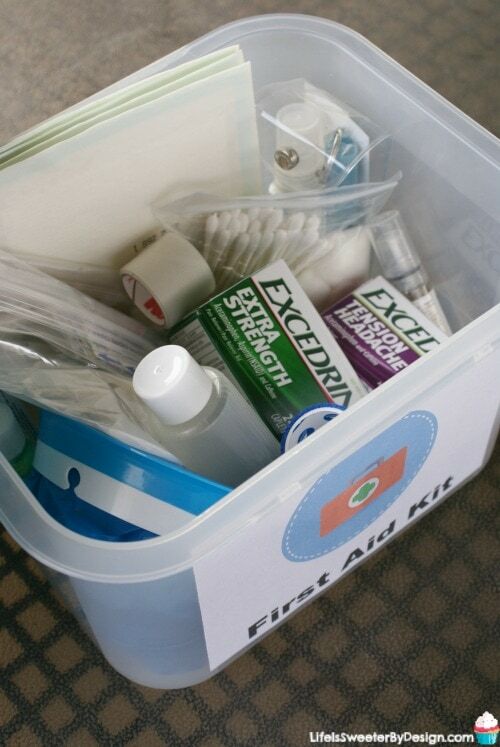 Having a first aid kit both in the care and at home are important. I need to get the Excedrin for headache relief. This is a great idea! I need to make these for each of my cars. I have had them in the past but they have been used or taken out at some point. Thanks for the checklist.